We’ve all heard the story. A black 17-year old in a hoodie, Trayvon Martin, went to a convenience store and bought a pack of Skittles and some iced Tea and was heading back to his father’s fiance’s house. He was on the phone with his girlfriend. George Zimmerman, a white night watchman, saw someone behaving in a way he felt was suspicious and phoned 911. Martin told his girlfriend there was someone suspicious following him. He began to run. Zimmerman indicated he was following the suspect on foot, 911 told him not to. He shot Martin and Martin died. Police did not press charges. End of story. The first correction to the story is that Zimmerman wasn’t white, he is Hispanic. What’ more, he has no history whatsoever of being anti-black, and several close friends and family members are black. This alone should have been enough to squish the “race” angle of this tragic story, but it wasn’t. Trayvon supporters were quick to jump back to the decades-old ridiculousness of “racial profiling”, going as far as to say he was killed because he was a young black man in a hoodie. Next, the news started coming in that Trayvon wasn’t the nice, clean-cut All-American boy supporters had made him out to be. He’d been found with several items of women’s jewelry in his backpack at school, claimed “a friend” gave it to him, but refused to disclose this friend’s name. At the time he was killed he was serving a suspension from school for possession of a baggie that had marijuana residue in it. And there’s this picture, uploaded by Trayvon himself, to his Twitter account, under the name @no_limit_nigga, as displayed on Streetangs.com. Sporting a sizable piece of ink on his left arm and wearing a hat with an unidentifiable red logo on it. Other images from the same time show his gold-capped teeth and the hat on backwards, displaying another red logo. Hardly the all-American 12-year old boy shown in the images the family and race warriors have released publicly. Those who hate Zimmerman want to make excuses. They assume the teenage boy was telling the truth about the jewelry, and question how an empty baggie with illegal drug residue could be considered evidence of wrongdoing. “Don’t all upstanding teenagers have empty marijuana bags and suspiciously obtained jewelry on their persons?” they must be thinking. Zimmerman was no angel either. He was clearly advised not to pursue Martin by the 911 operator. Police video footage initially showed an uninjured Zimmerman being led in cuffs from the police vehicle, at odds with his story. Witnesses reported hearing screams for help coming from the altercation. Trayvon’s parents said there was no way the screams came from Zimmerman, that it was their son who was crying for help. Everyone who knew Trayvon, from his unmarried parents and his high-school girlfriend to his cousin in Tacoma, Washington said Martin was a good kid and that Zimmerman chased him down and gunned him down in racially-motivated cold blood. Zimmerman had a different story. His neighborhood had been burglarized recently. He saw a person carrying something and behaving suspiciously. He began following the individual to see what he was doing, and phoned 911 so they could send an officer to investigate. Maybe this was the burglar who’d been stealing things from the neighborhood? When the suspect began running away, Zimmerman got out of the vehicle to follow him. 911 suggested he not follow, that he wait. Zimmerman said OK. The suspect then approached him. Martin lunged at him, breaking his nose and pushing him to the ground. Zimmerman tried to fight back, and Trayvon Martin began slamming Zimmerman’s head into the pavement. In the course of the attack, Zimmerman’s shirt lifted to reveal his concealed handgun – one he was permitted to carry by the state of Florida. Trayvon saw the gun, reached for it, and said, “You’re gonna die.” Zimmerman drew his weapon and fired. Witnesses saw Zimmerman pacing and looking dazed. A Witness heard cries for help. 911 tapes were analyzed by third-party investigators who appear to have been hired by those trying to punish Zimmerman. They (not surprisingly) found that the cries for help on the 911 tapes were only a 48% match to Zimmerman’s voice, and it requires a 60% match to be conclusive. This does not mean the cries are matched better to Martin – the cries were not matched to his at all (likely because no recordings exist to match the voice to). Adversaries of Zimmerman pushed for analysis of the Zimmerman police video so they could show the world definitively that Zimmerman did not have any injuries when he was brought to the police station. 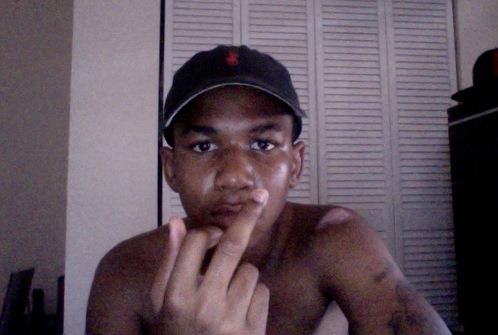 When enhancement was complete the videos were found to show that Zimmerman did indeed have the injuries he had claimed to have received from Martin just before the shooting. Zimmerman was wrong in choosing to follow Martin after 911 advised him not to – but to be fair, 911’s advice was pretty weak. Martin was wrong in choosing to turn and confront Zimmerman. Is this really a gun-rights case? No. Zimmerman was not using the “stand your ground” provisions when he shot Martin. Either Martin was pursued without confronting Zimmerman (in which case it was murder), or Martin fired while the suspect was already attacking him. We will not know until the autopsy findings are released. In Florida the autopsy findings are not released until the investigation is complete. I’d imagine in this case the state is going to be extra slow in releasing the findings because the case has been blown to Rodney King-proportions. Whether Zimmerman is found guilty or exonerated, there are sure to be hard feelings. Exoneration of the shooter is the worst outcome for public safety because history has shown that when racial controversy has erupted (even in cases where there was no racial element in the first lace, other than those perceived by scandal-mongers), riots have broken out. Should that be the case, there will be more shootings, as persons in Florida, protected under the stand-your-ground law, will defend themselves from looters they perceive as a threat to their physical safety. It could get ugly. Lets hope it does not. Autopsy findings will answer at least two questions: (1) Was Trayvon Martin on drugs, as Zimmerman believed him to be, and as is possible given his recent suspension from school? (2) was he shot from a standing position (or from behind as he fled in terror), or from a position showing close proximity to the shooter, indicating he was attacking Zimmerman? Maybe we’ll also learn what tattoos Martin had, or what gang affiliation he may have had. For now only one thing is certain: No one knows what happened, and any rally for either side – regardless the publicity, regardless the politician who steps in with his 2 cents, regardless the love of the family or the innocence of the wronged party – is based solely on conjecture, and that is a really dangerous and shaky platform. « Is the Mark of the Beast Really WWW?